You've carefully selected the most perfect looking organic produce, only to find it squished and ruined at the bottom of your bag ...no more! 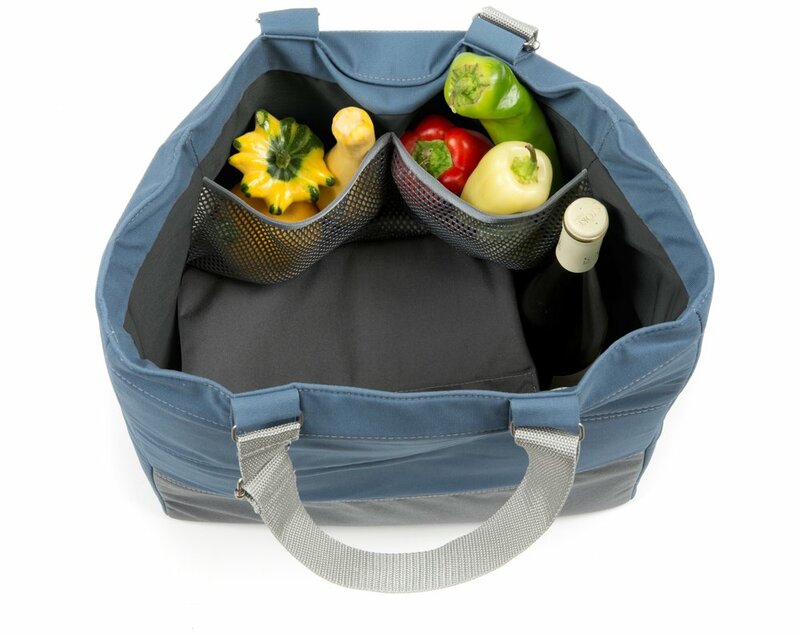 In the bottom of the bag: Adjustable compartments secure fruits & veggies, wine bottles & more. A built-in shelf creates a second tier! Pull over the shelf and put more on top without damaging what's underneath! Large mesh pockets let you stash loose items- no need for plastic produce bags. Yay! A side panel holds an ice pack to keep it chilled. 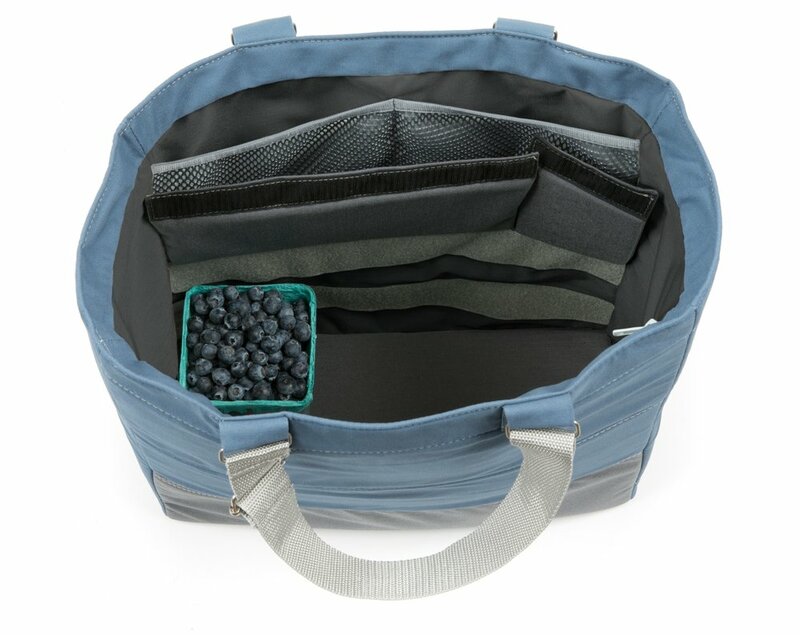 Pack Your Produce & Picnics Perfectly! Adjust inserts to create compartments. Fold over optional shelf to protect bottom goods. Load up! Optional opening for tall bottles. Keep things chill with this pocket designed to hold an ice pack. *Strong, lightweight, insulated cotton canvas that will hold its shape. You won't get weighed down before you start to shop. *Straps that won't cut into your shoulders! *Super easy to clean fabric. "Solves many of your farmers market dilemmas"
"Cabaggage is a better way to transport fresh fruits and vegetables." 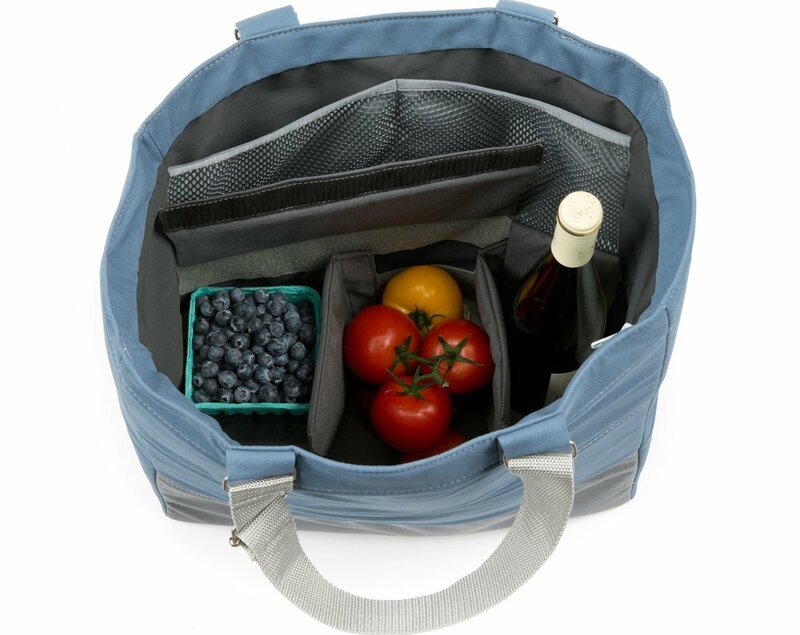 "My favorite shopping or farmers market bag." 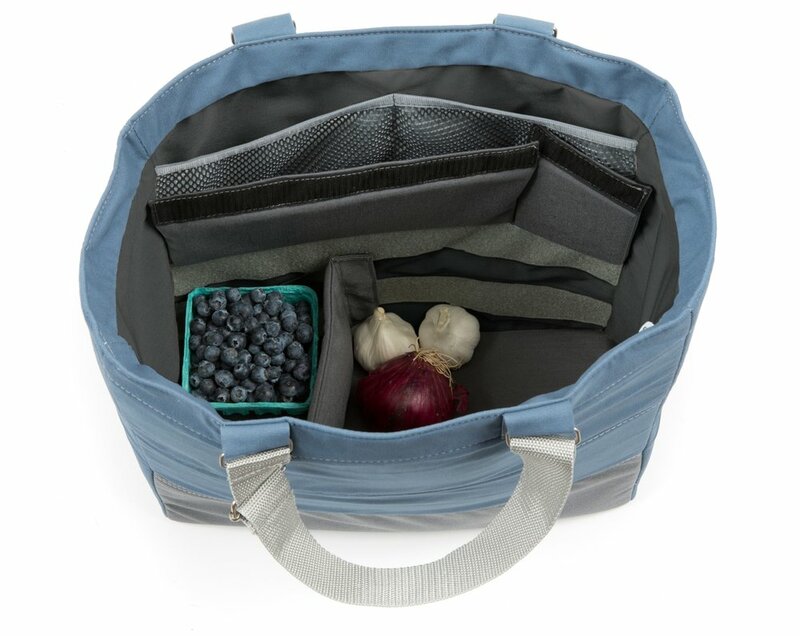 "The best reusable bag ever..."
"...you'll be hauling produce like never before"
"90 backers pledged to help bring this project to life!"